Eleven students from the Urbana campus received Fulbright awards for the 2018-19 academic year, placing Illinois among the top 15 public institutions in terms of numbers of student grantees. Eleven students from the Urbana campus received Fulbright awards for the 2018-19 academic year, placing Illinois among the top 15 public institutions in terms of numbers of student grantees. David Schug, the director of the National and International Scholarships Program at Illinois, said the U. of I. has been a perennial leader in student Fulbright grantees, making the top-producing list for eight of the past nine years. The Fulbright competition is administered jointly at Illinois through the National and International Scholarships Program – which assists undergraduates and recent alumni – and the Office of External Fellowships, which focuses on graduate student applications. Both offices have begun working with future candidates, as applications will open April 1 for students and recent alumni interested in pursuing studies, fine arts, research or English teaching assistantships under the Fulbright for the 2020-21 academic year. Since its inception in 1946, the Fulbright Program has provided more than 390,000 participants – chosen for their academic merit and leadership potential – an opportunity to exchange ideas and contribute to finding solutions to shared international concerns. 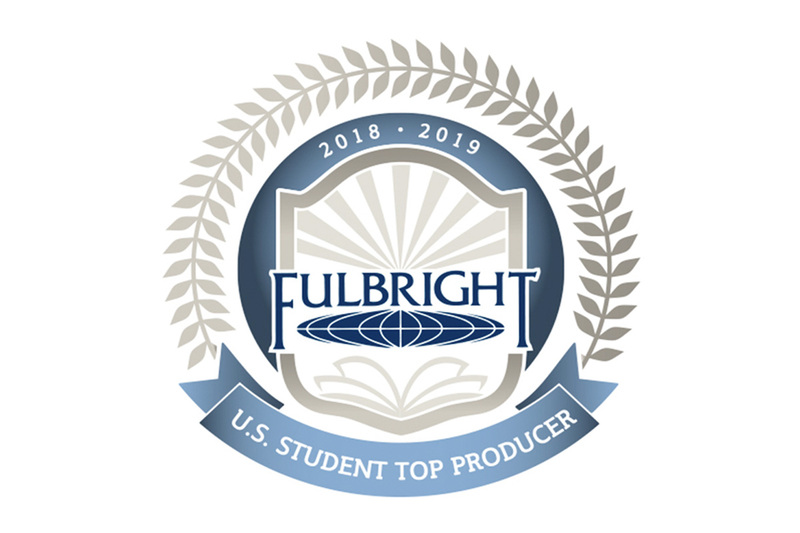 Over 1,900 U.S. students, artists and young professionals in more than 100 fields of study are offered Fulbright grants to study, teach English and conduct research each year in more than 140 countries. The Fulbright Program also awards grants to U.S. scholars, teachers and faculty to conduct research and teach overseas. In addition, some 4,000 foreign Fulbright students and scholars come to the U.S. annually to study, lecture, conduct research and teach foreign lan gauges. For more information about the program, contact David Schug, National and International Scholarships Program director, 217-333-4710; topscholars@illinois.edu.